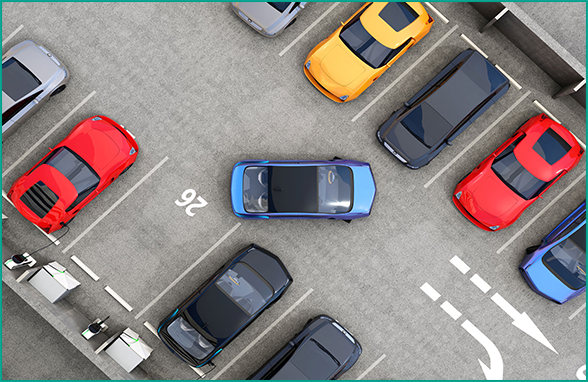 RONSPOT was designed from the ground up to solve real employee car parking problems. Easy to deploy and manage with cloud infrastructure, it is the affordable solution that solves your parking problems. We believe in helping our customers tackle the tough issues like managing and planning their available resources to meet the needs of their growing workforce; developing and introducing exciting new technologies to simplify their lives; incorporating new models of data management and analytics; and improving urban quality of life and work. We leverage technology and dynamic data to make optimization safer, cleaner, more convenient and more enjoyable for companies and users wherever they are. "I wholeheartedly recommend the RONSPOT app to any company or organisation. It has streamlined and enhanced the way we manage our parking space tremendously." "RONSPOT is powerful and immensely helpful, yet intuitive and easy to use. Scheduling parking in advance, reserving or vacating spots is as easy as a tap and done." "RONSPOT has literally changed the way we utilise our company parking facilities. It doesn't require any costly investments or complex software setup. As a facilities manager this is an invaluable tool to me." Copyright 2018 | Jemstone Technologies Ltd.